The A&E original drama is incorporating iconic elements of "Psycho" in its final chapter, but Kerry Ehrin's psychological thriller wisely isn't promising the same ending. “Bates Motel” could not exist without “Psycho,” but soon it could feel like the other way around. Part of the brilliance within Kerry Ehrin’s deep exploration of Alfred Hitchcock’s characters is how even in the modern day — and even while always promising an ending independent of the film’s narrative — it feels as though we’re being given crucial backstory to a character we only came to know as a pervert, murderer, and psychopath — in that order. Fifty-seven years later, “Bates Motel” is filling in the details by fleshing out Norman’s motivations, psychological state, and ultimate descent into madness. The final season is steeped in more Hitchcockian lore than ever. There’s a subtle nod to the iconic shower scene in the first episode, when Norman mentions how he just finished installing new curtains. We get our first glimpse of Norma’s permanent residence, or at least what we suspect is her final resting place, given how we’re first introduced in the film. And by the end of the second episode, fans will be treated to a first for the series and a spot-on callback to the film. And we still haven’t seen Marion Crane! Film fans and TV followers alike have been abuzz over the casting of Rihanna as the legendary Bates Motel guest first played by Janet Leigh. But through two episodes, there’s not a sighting or a hint at her arrival. The show is steadfastly focused on its core couple — Norman and Norma — even after the latter’s tragic fate in Season 4. Exactly how Norma pops up in Season 5 should come as no surprise. She’s always been a part of Norman’s subconscious, and we saw in the finale how he would continue to manifest her presence to keep himself sane. But the way Norma is formally presented is truly impressive: Directed by Tucker Gates and written by Ehrin, the first two episodes highlight Norma’s unnerving presence with ethereal movement grounded only by Norman’s mind. How and when she appears is dictated specifically by his well-being, but his understanding of his mother conveys her sense of self clearly. There’s a still combative nature to their relationship, even if its motivations are slightly tweaked to fit Norman’s views of his mother. Never is this better illustrated than in a seemingly simple scene during Episode 2. Norman, in the middle of one of his blackouts, has begun acting as though he’s Norma. To convey the switch as well as Norma’s ever-increasing presence in Norman’s mind, Ehrin cuts back and forth, mid-speech, between Freddie Highmore and Vera Farmiga — both playing Norma. The cross-cutting clearly illustrates how well Highmore has studied his fellow performer’s mannerisms as Norma, but what’s interesting — and, frankly, amazing — about the scene is how he subtly emphasizes character traits Norman sees in his mother. She’s a little bit more flirtatious, a touch more bitter, and absolutely more volatile. Norman has always seen his mother this way. It’s why she’s the one who kills, not Norman. But to see it come through on so many levels at once, from two performers capturing the same essence, really drives home the depth of Norman’s madness. That being said, Farmiga is off the chain. The executive producer and Emmy nominee (for Season 1) has been a consistent delight throughout the series, but now, free from the moral tortures of the living, she’s relishing the opportunity to go full-on nutbag with Norma. It’s a subtle shift fitting Norman’s slightly off-kilter perception of his mother, but one you’ll adore once you notice it. Everything that makes “Bates Motel” great connects to what initially fascinated us about “Psycho.” The sick, twisted, inner sanctum of the motel and its manager have been beautifully expanded upon, with every addition built on the ever-so-important foundation: character. 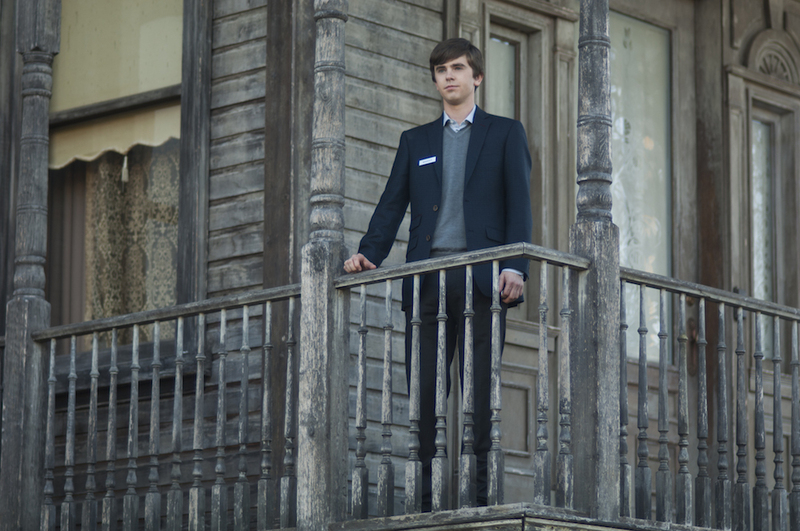 Freddie Highmore’s take on Norman Bates feels like an honest precursor to Anthony Perkins’. We can believe one would become the other, allowing us to better understand the Bates born nearly six decades ago while remaining intrigued where this 21st century Bates ends up. It’s touches like these that bolster confidence in a series that’s rarely slipped up in four-plus seasons. No matter where Ehrin takes the story in its final chapter — and we’re not about to guess — she’s got a cast more than able to support it. They know these characters through and through, as does Ehrin. When it’s all said and done, “Bates Motel” should stand as a worthy addendum to Hitchcock’s masterpiece and an enthralling story all its own. It doesn’t matter who came first. 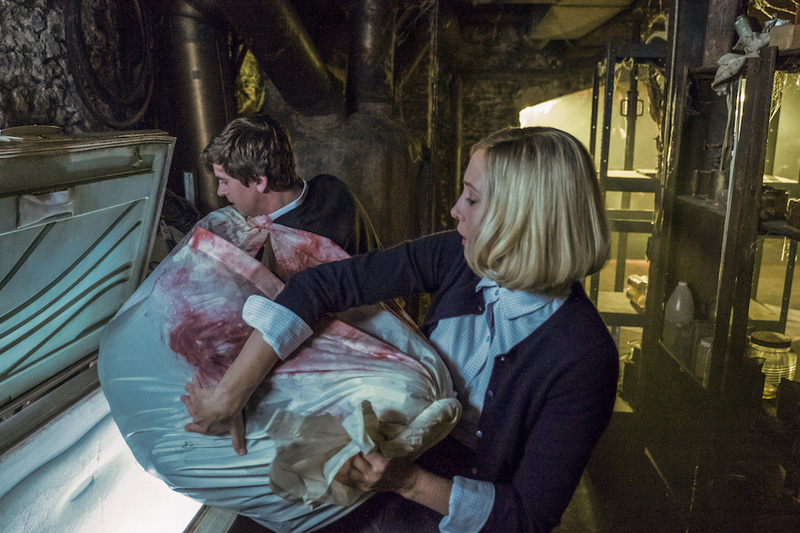 “Bates Motel” has figured out how to have its characters and kill them, too. “Bates Motel” premieres Monday, February 20 on A&E.